Olivia has taken many adventures in her 2 1/2 years: Holding up her head and smiling at her parents. Sitting up. Feeding herself in her highchair. Learning to talk. Walking (that was a big one!) still takes her on many new adventures around the house (when she’s not blocked by the baby gate). Now comes one of the biggest adventures of her young life – getting on the potty. Getting up there, not falling in, doing the business and getting back down. Can she do it? Of course she can…she’s Olivia! Come along and see how! Olivia’s Potty Adventures! is a whimsical, rhyming picture book that celebrates the childhood triumph of learning to know when to go. The world of Olivia’s imagination is as big and boundless as it is colorful and cute. I often found myself smiling at the images of her taking breaks in the midst of her adventures and loved seeing the bold and empowered stance Olivia takes even in the world of pretend. I think kids will love reading this alone or with their parents and will enjoy all the delightful details in each and every illustration. Children of color will especially love seeing themselves mirrored in the main character. 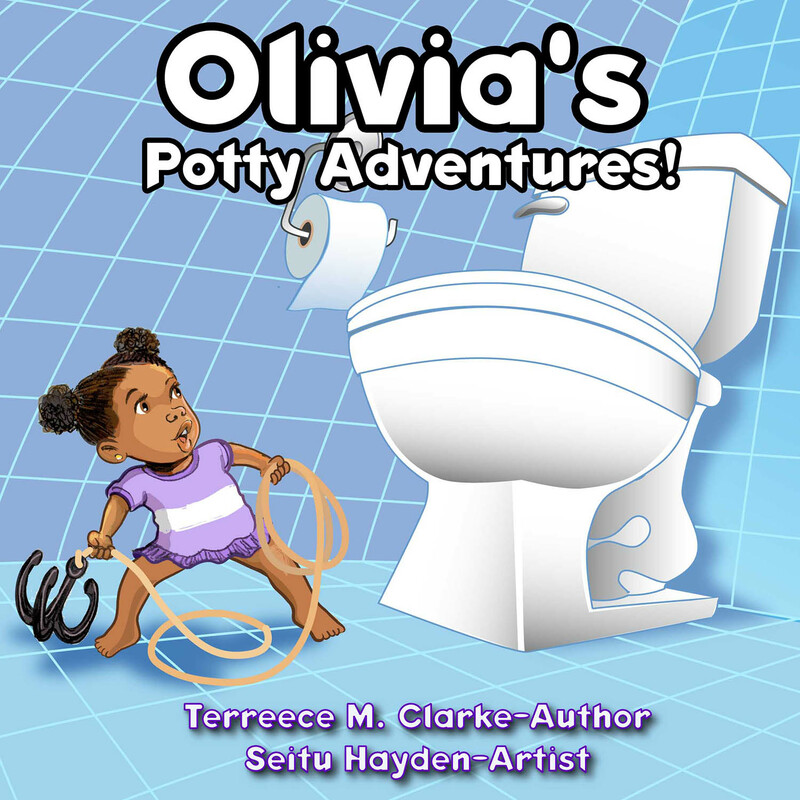 Olivia’s Potty Adventures is a fabulous addition to every child’s potty book library or bathroom book basket. It engages young readers, and their parents, in playful potty understanding from readiness to developmental skill-building. It builds body awareness across different situations, teaches personal responsibility through age-appropriate problem solving, and thankfully, makes mistakes and accidents part of the learning process. Love this book! Bravo!! !